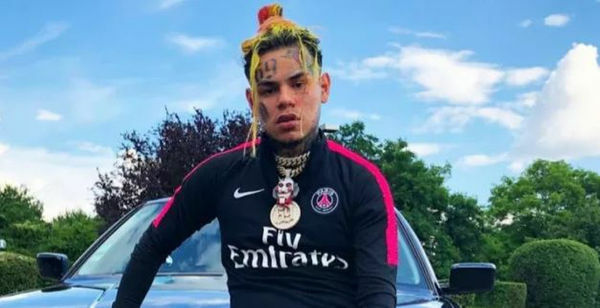 Tekashi 6ix9ine gave his mother $500,000 for her birthday. He did it inside of a restaurant where she was already sitting, and it was all captured on video. First, you see the Brooklyn rapper walk in, then he proceeds to pull stacks of cash out of a Gucci bag. He then gives his mom the money, she gets emotional and hugs him. The video follows another clip that Tekashi posted just a few days ago. In that one, he told Don Q that he's the king of New York, not him. The "FEFE" rapper was also seen in the studio with Kanye West recently, so we'll probably be hearing something new from them soon.